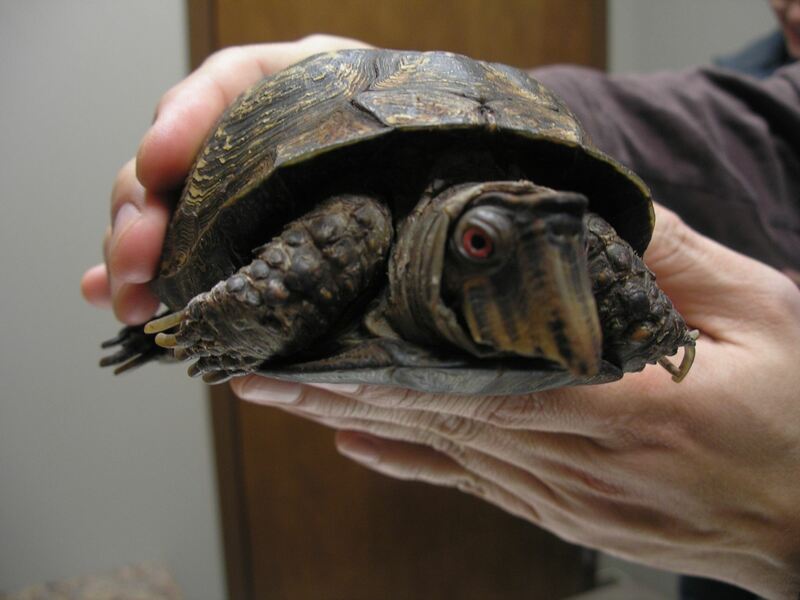 posted: March 08, 2014 by: Dr. Joanne Carlson Tags: "Clinic Specials" "News"
Cecil the box turtle was picked out at a pet store in 1987. He is even "Potty trained", every morning he goes into a tub of luke-warm water and takes care of business. During the summer, his parents let him outside on the warm days, but keep a close eye on him as he will take off and try to hide under the bushes. When his parents go on vacations, Cecil stays at a relative's house where his best friend is a cat. They are inseparable! His parents have had him for 26 years, and are looking forward to having him for many years to come.